Lil Athletes offers childrens sports programs for children 20 months-7 years. We offer various locations in year-round Nassau and Suffolk County. In the Spring/Summer/ Fall months, we offer both indoor and outside locations. 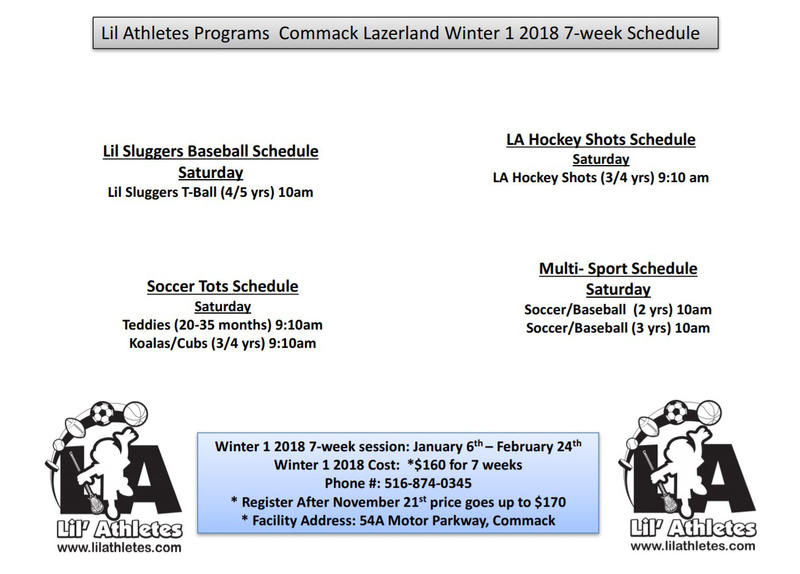 Lil Athletes offers Soccer, Baseball, Lacrosse, Basketball, Hockey programs. Check out our locations below, click the session registration button to view schedule. The NEW Sports facility in East Northport “L.I. 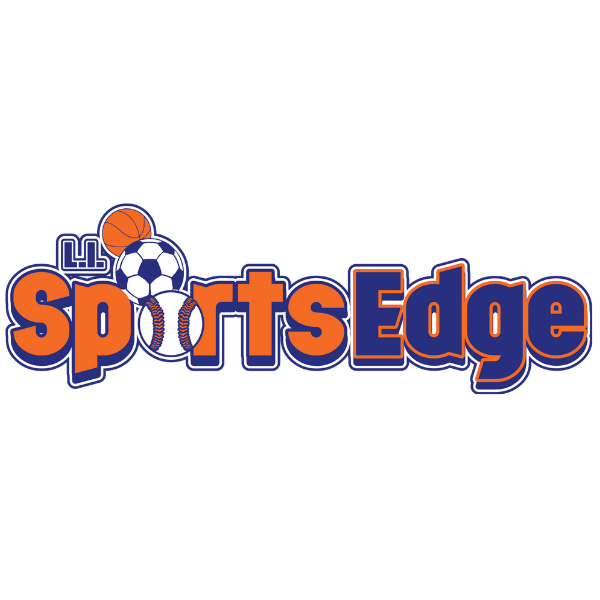 Sports Edge” will feature Lil Athletes weekday & weekend classes, as well as, Sports Birthday Parties & Holiday/Summer Camps! 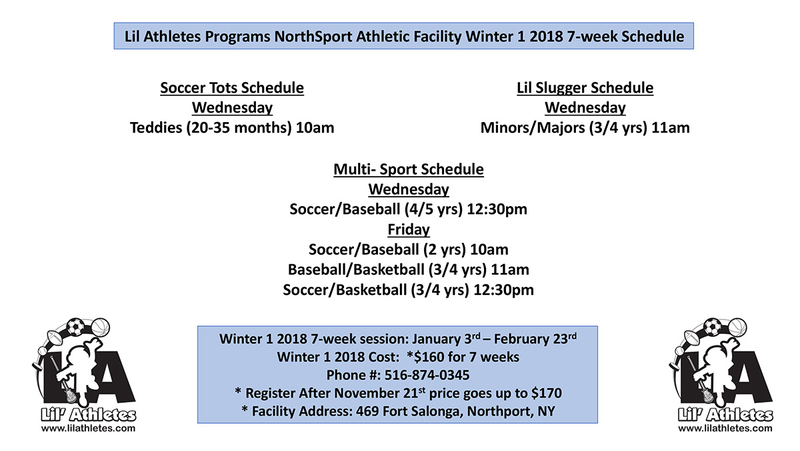 Opening in January 2019, Lil Athletes will be hosting classes classes here. 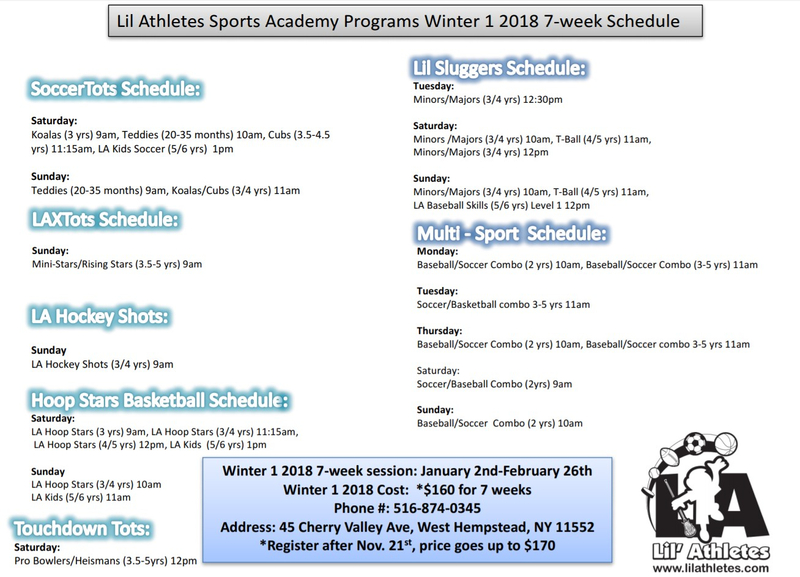 JUST ADDED- *NEW LOCATION*- Lil Athletes will be holding sports classes at the Ivy League school in Smithtown! 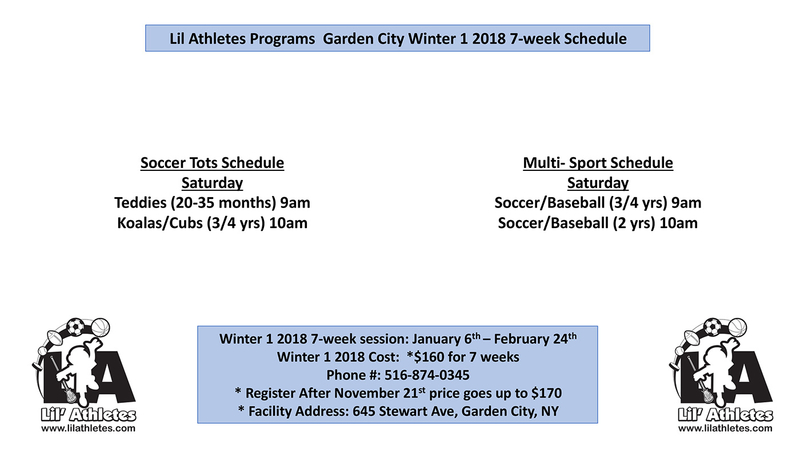 Our classes will be offered year-round (winter months indoors in their gymnasium & Warmer months outside). Come check out this beautiful indoor/outdoor location. 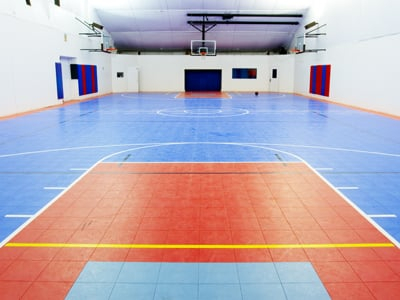 One of our newest Nassau county locations, Sportime Syosset is a beautiful indoor sport court facility. We will debut classes at this location in our Fall 2 2017 session! Our class offerings will be during Fall 2/Winter 1/Winter 2 sessions. We are offering Soccer, Baseball, and Basketball at this location on Sunday mornings! CHECK OUT our Huntington or Plainview Locations! Parisi Speed School features a great sized turf field, one of the nicest sports facilities on Long Island! 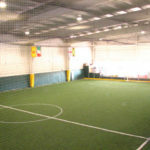 We currently offer Soccer, Baseball, Basketball, & Lacrosse at this location. This is a year-round indoor location for us, as we offer classes on Sunday mornings. 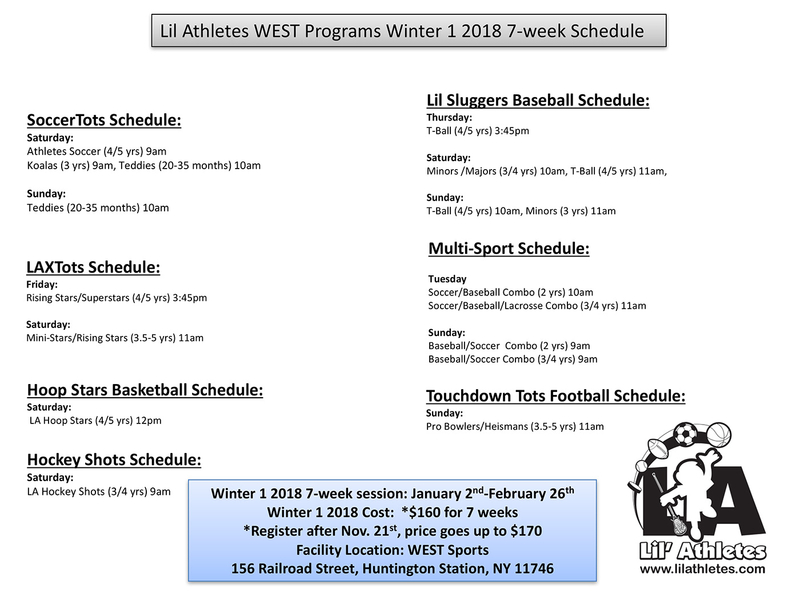 Lil Athletes is back at the 156 Railroad Street location!!! Come check out this BEAUTIFUL, State of the art facility. 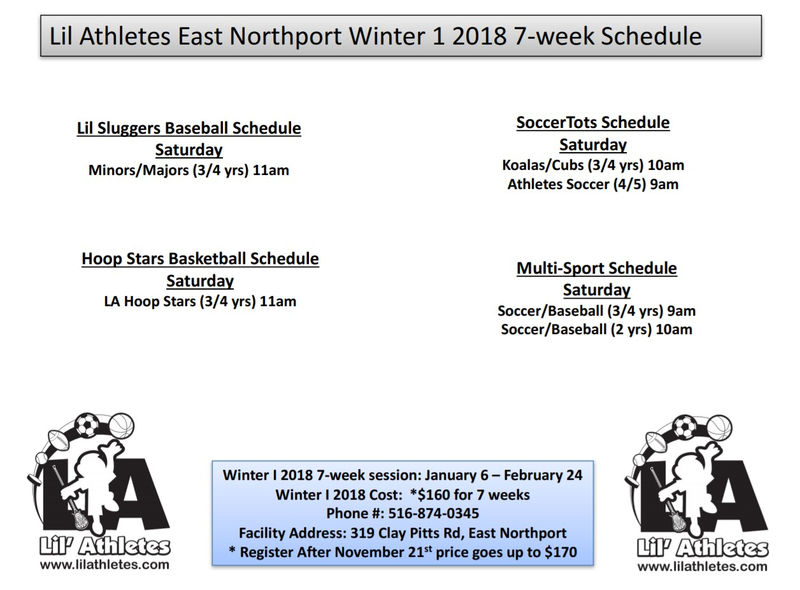 Lil Athletes will be holding classes on Saturday mornings in the Winter 2 session, and weekday afternoon classes. This facility has been recently renovated and will be one of the premier sports facility on Long Island! 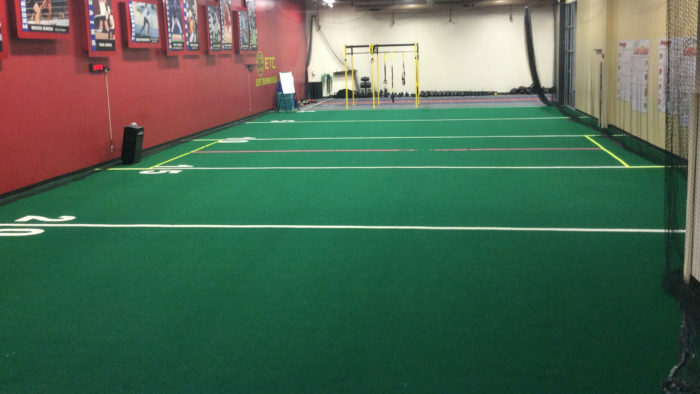 KK Athletics, one of our oldest Lil Athletes locations, is a huge indoor turf facility with multiple turf fields. This place is one of the premier soccer academies on Long Island. 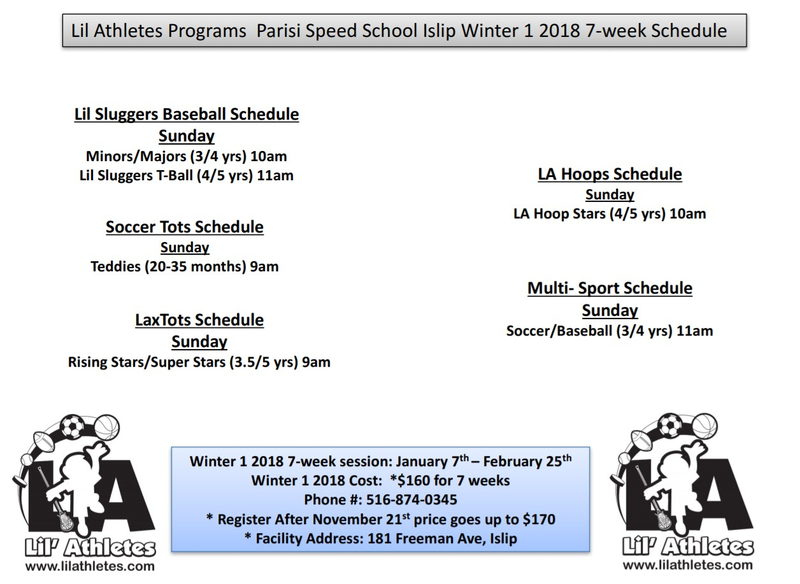 Lil Athletes offers Soccer & Baseball Saturday mornings year-round. In the warmer months, Lil Athletes offers OUTDOOR classes in the Spring/Summer at this location! This beautiful outdoor facility will offer Lil Athlete classes on Saturday mornings! 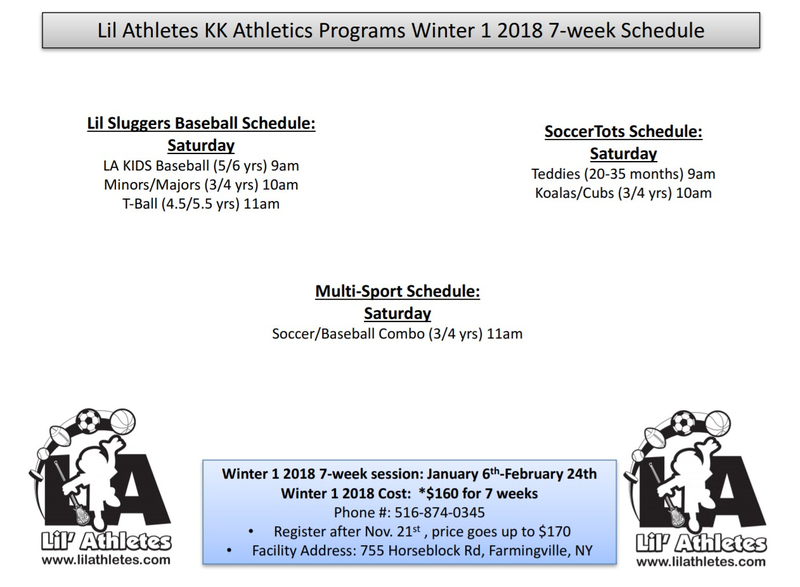 We will be offering Soccer, Baseball, Basketball, Lacrosse, and Hockey. In the Spring & Fall months, we offer OUTDOOR classes in Rolling River’s beautiful outdoor campus. We offer classes on Saturday mornings. 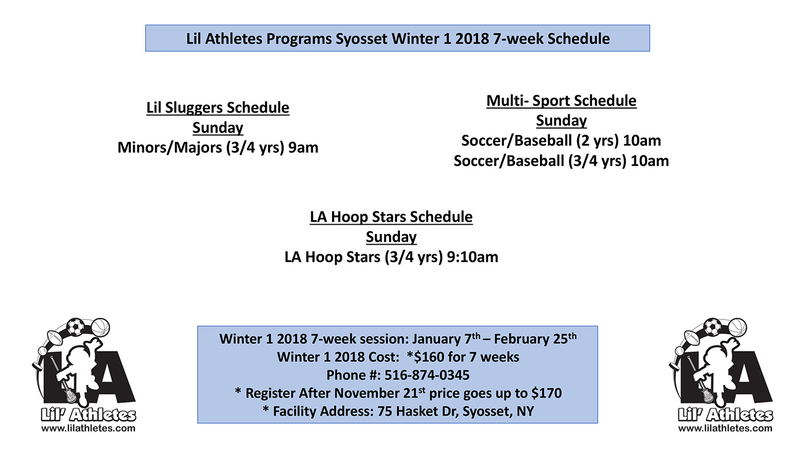 In the Spring/Summer/Early Fall, Lil Athletes offers Sunday morning outdoor classes at the Mid Island Y JCC! Check out this awesome fenced in grass space for our Lil Athletes! 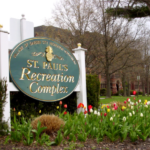 Lil Athletes will be offering outdoor classes at St. Paul’s on Sunday mornings! 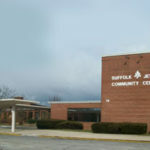 We will be offering many classes at this location during the Spring/Summer/Fall months! 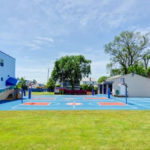 One of our most popular outdoor facilities, Suffolk Y JCC provides Lil Athletes with a beautiful outdoor grass playing surface. We are blessed to have huge support from local towns during the Spring/Summer/Fall months. 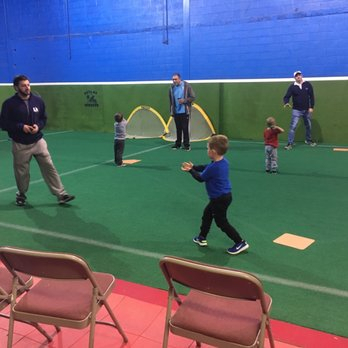 We currently offer Soccer, Baseball, and Lacrosse at this Saturday morning location.